Education Affiliates was founded on a simple premise — that we would create an opportunity for organizations to hire graduates of our schools who have completed quality, people-oriented, post-secondary career training. In 1924, American Institute, then known as Hartford Secretarial School, opened its doors to its first class of business students. Since that day, thousands of students have graduated to enjoy careers in the world of business, legal, allied healthcare, diagnostic medical sonography and information technology. 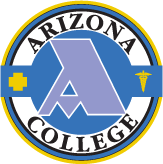 The mission of Arizona College is to prepare students to participate in society and the workforce as productive, responsible and engaged citizens and as educated individuals to meet the community’s future healthcare needs.